Natural Maple Hardwood Painting Surface. The Natural Maple Painting Surface has a uniform tight grain that has the perfect tooth for Art Boards™ Special Panel Gesso. 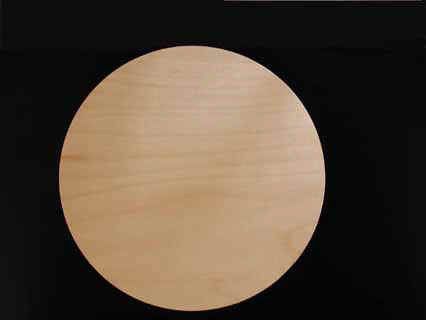 Art Boards™ Round Painting Panels are 3/4" thick with a recessed hanging slot on the back. The hanging slot allows the painting to be hung flush on the wall without the need of screw eyes, picture wire, or round picture framing. It is the perfect round painting surface for the artist to paint on. Custom size round painting panels are available and can be made in any size. made for making art on wood art panels.